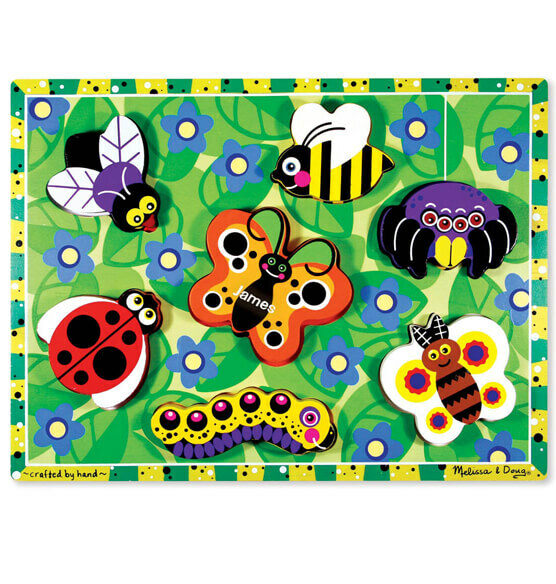 This Melissa & Doug® Personalized Insects Chunky Puzzle features a glorious garden full of colorful bugs! The chunky wooden puzzle pieces slot easily into their recessed spots, or stand upright for pretend play. Express shipping not available. Please allow 2-3 weeks for delivery.